Nopal Export - Home - Growers, Processors, Packers and Exporters. grown Nopal Prickly pear cactus. 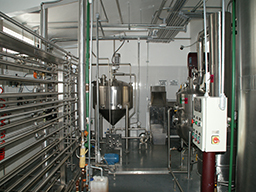 We are fresh Nopal growers, Nopal Liquid and Nopal powder processors. We provide premium one-hundred percent Nopal Fresh Padsnatural processed Fresh Nopal, Nopal Juice and Temperature controlled sun dried or spray dried Nopal powder. 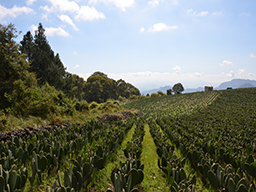 Our standard in achieving this high mark of quality is in our dedication to providing the finest fiber 'High-altitude' mountain grown Nopal pads available. We can ship by air, land or sea. 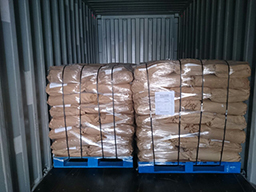 Nopal powder samples are shipped out within 48 hours and we can assure you that no one can match our price and with our Nopal quality. 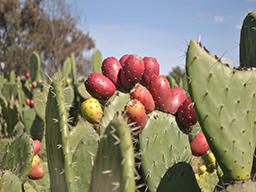 We are now offering a full line of Nopal "prickly pear fruit" products for our wholesale customers so please inquire for further details. 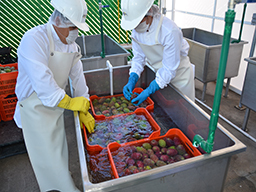 Our grower Cooperative is a Rural Production Society association made up of over 350 growers and processors that grow and process top quality fresh Nopal, Nopal Juice and Nopal powder. We naturally dehydrate and Spray-dry our Nopal, close to our fields assuring you freshness and quality. We are located close to the Region of Milpa Alta, renowned for its high quality Nopal throughout the world. The central and northern areas of Mexico grow Nopal mostly for Cattle and livestock consumption. Don't be misguided by this desert region Nopal, it is low in nutrients, minerals and mucilage. The desert variety has large irritating spines and is generally a low quality producer and not a high quality fruit and vegetable producer. 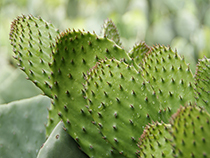 Our Nopal products are all processed from the Opuntia Ficus Indica high mountain grown vegetable variety species Nopal and not to be confused with the semi-arid desert variety of Nopal. We continue to strive to develop new cutting edge products and up till now we can offer you our Nopal powder, our fresh Nopal, Nopal juice concentrate, Nopal body lotion, Nopal shampoo, Nopal hair gel, Nopal facial mask and Nopal soap. 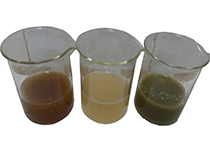 This product is has been solar dehydrated and is derived from Mature Nopal pads. They are first cut then washed, sliced and solar dried. This product is not irradiated and is an all natural product. From our High altitude Organic Fields, to your table. This product is pasteurized. 100% Natural Opuntia Ficus Indica (vegetable variety) Nopal Cactus. No artificial preservatives or other ingredients are used. This product is pasteurized. 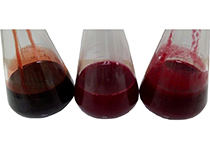 100% Natural Opuntia Ficus Indica (vegetable variety) Nopal Cactus Red Fruit Juice. No artificial preservatives or other ingredients are used. Please feel free to browse our web sites. For more information on our fresh Nopal and Nopal Powder including detailed technical analysis, related Nopal studies and nutritional properties, please contact us in this link. 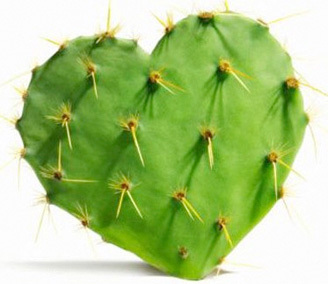 For over 12,000 years fresh Nopal cactus has been consumed for its legendary qualities. Only recently, in the last 20 years, has modern science truly been interested in the investigation of Nopal's nutritional properties. 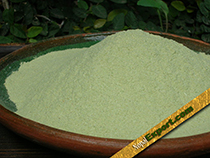 Nopal is a rich source of dietary fiber, especially non-carbohydrate polysaccharides, such as pectin, mucilage, and hemicellulose. Calcium is a major component of bones and teeth. It also is required for the clotting of blood to stop bleeding and for normal functioning of the nerves, muscles, and heart. 100 g of fresh leaves carry just 16 calories. Nonetheless, its modified leaves (paddles) have many vital phytochemicals, fiber, antioxidants, vitamins, and minerals that can immensely benefit health. Also, the juice extracted from the nopal has been suggested to have an immune booster and anti-inflammatory properties.